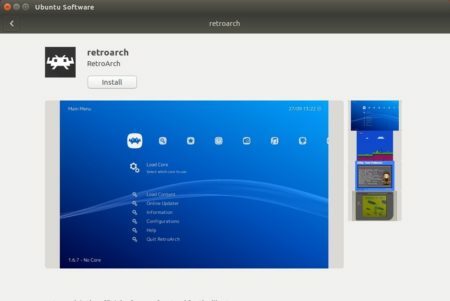 RetroArch now has official snap packages to make it easy to install it in 64-bit and/or armhf versions of Ubuntu 16.04 and higher. RetroArch is a front-end for emulators, game engines and media players that designed to be fast, lightweight, portable and without dependencies. Once installed, open it from application launcher and enjoy! In addition, for those who prefer traditional .deb packages, a stable PPA is available with RetroArch packages for all current Ubuntu releases.